The ancient Olympic games were held to celebrate the Greek Gods every four years between 776 BC. and 393 AD on the plains of Olympia. The games, simple by today’s standards, included such sports as running (various distances), long jump, shot put, javelin toss, discus, wrestling, boxing, martial arts and equestrian events. Although women were not allowed to participate in the ancient Olympic Games, a separate event held every four years, the Herean Games, offered women an opportunity to compete with each other. The ancient Olympic games gathered athletes and spectators from throughout the region, including many cities often at war with each other. Even during times of warfare, truces were called during the duration of the games, and all athletes and their families were provided safe passage through disputed territories. In April, 1896, the first modern Olympic Games were held. The site was Athens, Greece, to pay tribute to the ancient origins of the Games. Athletes competed in 43 events in 9 sporting categories: aquatics, athletics (track & field), cycling, fencing, gymnastics, shooting, tennis, weightlifting and wrestling. One of the major highlights for these first modern games was the introduction of the 25+ mile Marathon, which was created to honor the legend of Pheidippides, who was said to have carried the news of the Greek victory at the Battle of Marathon in 490 BC by running from Marathon to Athens (and then dropping dead). The Greek hosts of the 1896 Games were proud to have Spyridon Louis, a 24-year-old Greek shepherd, win this inaugural event. The first-ever medal won in the modern Olympics went to American James Connolly, who took gold in the triple jump on April 6, 1896. Ultimately, 14 nations had 241 (all-male) athletes compete in 43 separate events that year. Since 1896, the summer Olympic Games have been held every 4 years, with the exceptions of 1940 and 1944 during the waging of World War II. The most recent summer games of Athens 2004 were be the games of the 28th Olympiad. In 1921, the International Olympic Committee voted to stage “International Sports Week 1924” in Chamonix, France, featuring winter sports. This event was a complete success and was retroactively named the First Olympic Winter Games. The Winter Games (with the same WWII exceptions) have been held every four years since, through 1992. After only a two-year gap, they continued from 1994 onwards every four years. The 1924 Winter Olympics featured 258 athletes (11 women, 247 men), from 16 nations, competing in 16 sports. At the most recent Winter Games (2014) in Sochi, Russia, 88 countries were represented by 2,873 athletes (1159 women, 1,714 men), who competed in 98 separate events. The 2018 events in Pyeongchang, South Korea, will be the XXIIIrd Olympic Winter Games! The Lincoln City Libraries has a large collection of materials about the Olympics and the sports that are included in the Olympic games. In addition to the examples shown below, we encourage you to visit our on-line catalog and use a “Subject” search under “Olympic Games — ____“, substituting a year for the ____, to see specific items about many of the specific Olympiads from 1924 to the present. Additionally, we have numerous sports biographies of athletes whose crowning achievements were accomplished during the Olympics. The following are a sampling of books in the library’s collection dealing with the history of the Winter Olympic games. Click the first two links for larger lists under those respective subject headings. 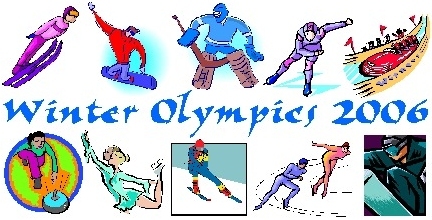 The library owns materials about most of the following sports, all of which are contested in the Olympic Winter Games. The date in parentheses following the sport is the year in which that sport first appeared in Winter Olympic competition. If the name of a sport is hotlinked, clicking it will connect you to that subject heading in our on-line catalog. Keep in mind that not all the materials on these varied subjects will be specifically about the Olympic versions of these sports, especially for such popular winter sports as skiing, hockey, skating, etc. The following are a sampling of videos featuring footage from past Olympics, plus the soundtrack CD including music used during the Olympics television coverage of the past 20 years.